I hope you’ve discovered that roasting vegetables is just about the best thing ever. Have you? I roast peppers, onions, butternut squash, zucchini and cauliflower. I’m admittedly quite obsessed with the whole vegetable roasting process. There is something magical that happens when you roast vegetables. They’re GOOD that way! Today I’m showing you a roasted asparagus recipe. My usual way to eat asparagus is to just steam them and eat them with a little mayonnaise. 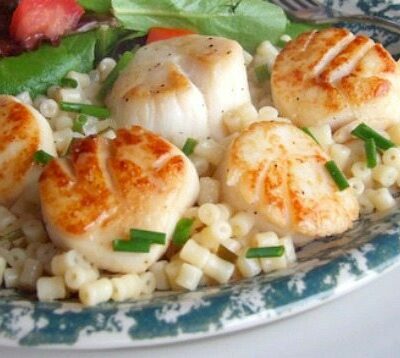 In this recipe they are roasted in a citrus vinaigrette until tender. And they’re super delicious! You just lay your beautiful, fresh asparagus on a baking sheet side-by-side. I like to put some tops one way and some the other… just because they snuggle onto the baking sheet better that way. 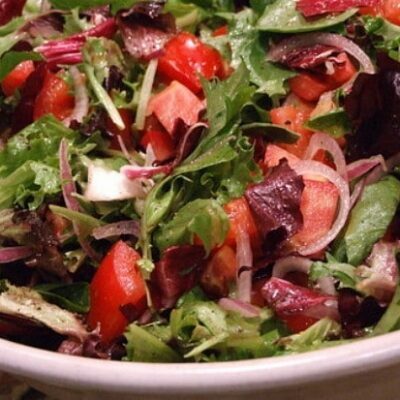 A really, really simple citrus vinaigrette is drizzled on the asparagus and slices of the citrus are added on top too. 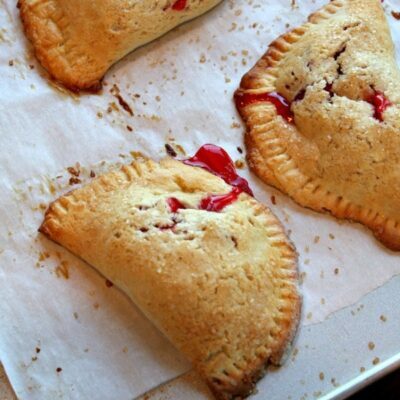 At this point they are popped into the oven for 12 to 15 minutes. 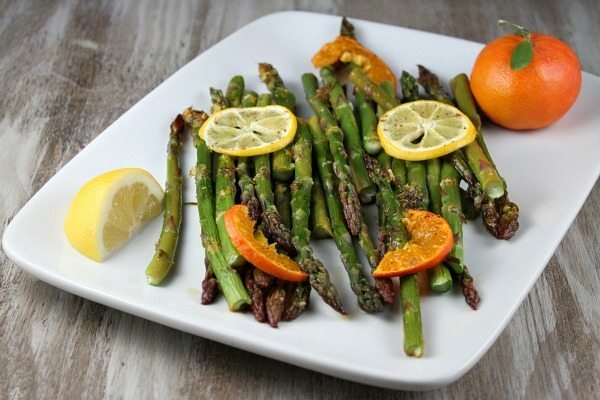 The result: tender, ROASTED asparagus with a citrus flair. We enjoyed this as a side dish to grilled steak, but it would go well with anything really- chicken, pork or fish. Enjoy! Zest one orange and one lemon and place the zest in a small bowl. Juice the zested orange and lemon and add the juice to the zest. Whisk in the oil, garlic and tarragon or thyme. Slice the remaining orange and lemon. 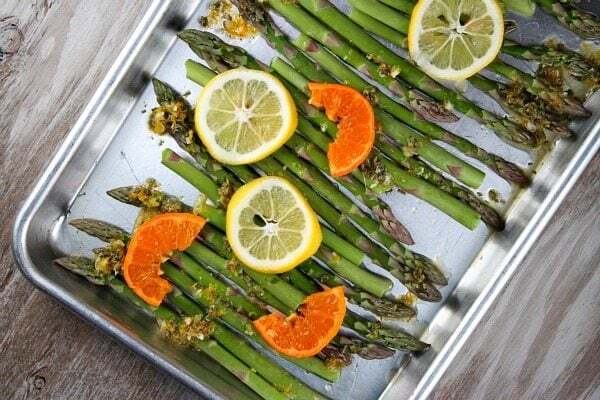 Place the trimmed asparagus on the baking sheet. Top with orange and lemon slices. Drizzle with the juice mixture. Sprinkle with salt and pepper. 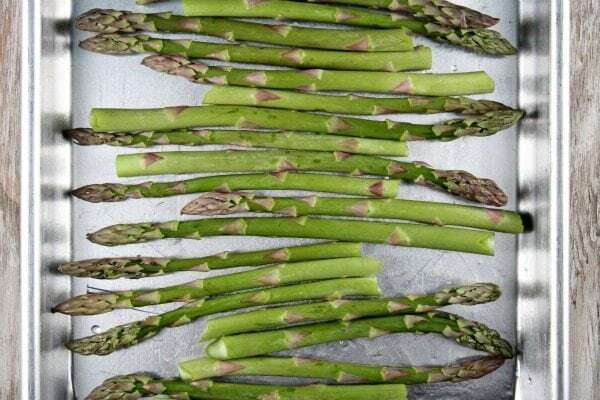 Bake 12 to 15 minutes, until asparagus is tender. 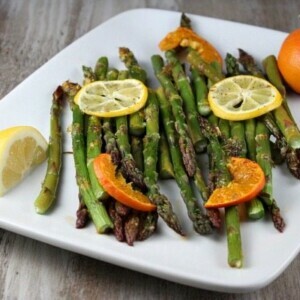 Remove asparagus to a serving platter and drizzle some of the pan juices on top. Choosing asparagus: Look for crisp spears with tightly closed tips. To trim asparagus, hold one in two hands and bend it. Keep bending until the asparagus "snaps." It will snap where the woody, non-tender part is. Discard that part and keep the top of the asparagus. This looks very yummy! Definitely something to try soon. Happy Easter. We love asparagus and I’m sure we’ll love this recipe too. I’m a big fan of roasting too. I love roasting veggies! 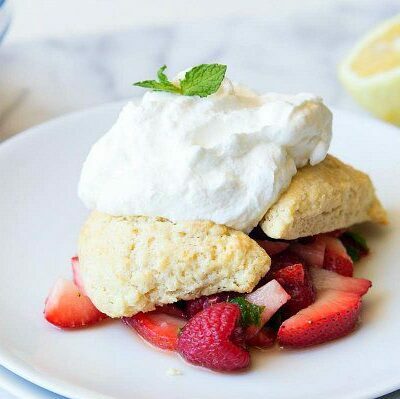 This looks amazing with the citrus too – perfect for spring! 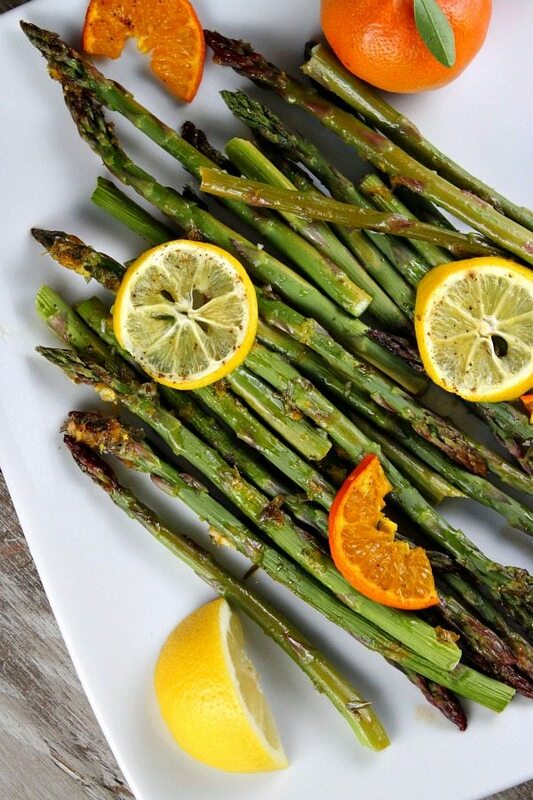 Asparagus is such a tasty spring vegetable! Sometimes I grill it, but baking it with the citrus must make the house smell delicious! Love asparagus. Roasting is the best, on that bandwagon with you. The bright colors lemons and mandarin oranges…so inviting after the long winter! Welcome spring and Easter. Can’t wait to try this!